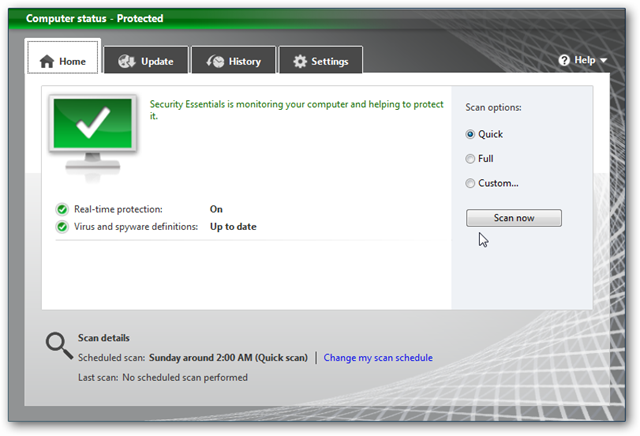 The new beta version of Microsoft Security Essentials was launched yesterday to a limited amount of users. 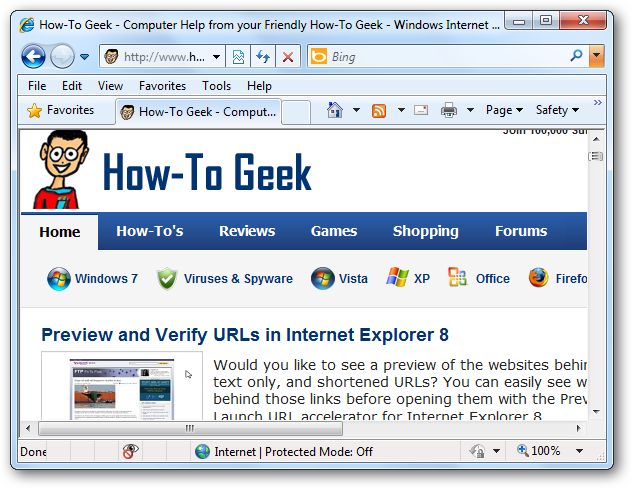 Here we’ll take a look at what you expect from the new version of How-To Geek’s favorite PC security application. 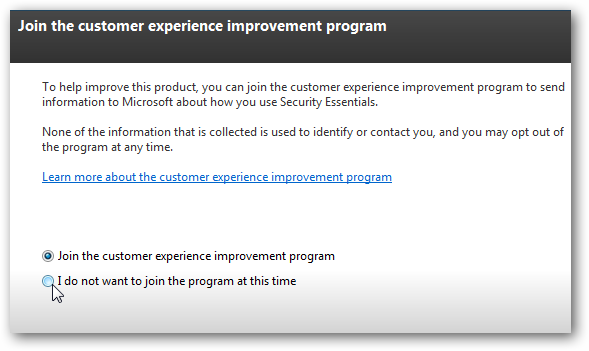 We have already given Microsoft Security Essentials our stamp of approval. Now there is a new beta version that we’ll take a look at today. It was released through Microsoft Connect and is available on a first come – first serve basis. it’s not available in all countries either, so depending on your location you might not have access to it. It is available in both 32 & 64-bit versions. You will need to log into your Microsoft Connect account, or sign up if you don’t have one yet. Then you can download the version which is right for your OS. Apparently there were problems downloading the file from MS Connect yesterday and they recommended a work around is to use the Microsoft File Transfer Manager (link below). 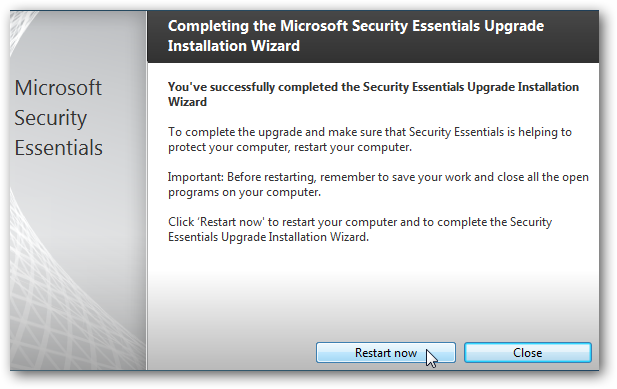 Installation is quite easy following the install wizard. 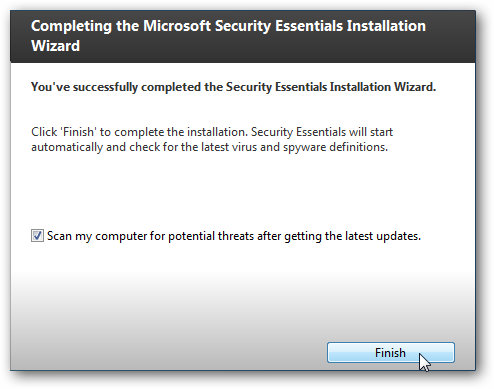 If you already have version 1.0 of Microsoft Security Essentials (MSE) installed, you’ll be able to Upgrade. It will offer to turn on Windows Firewall for you. 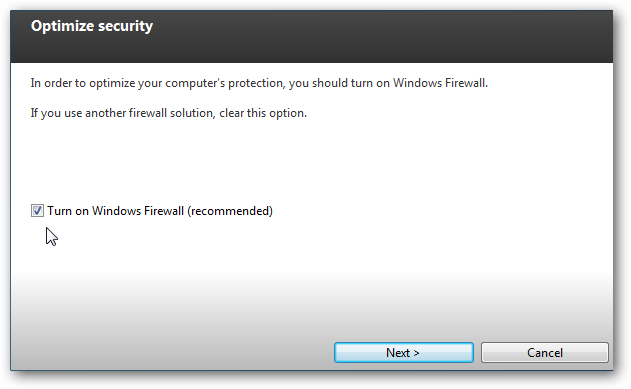 It you use another firewall application or just don’t want it turned on you can uncheck it. Now wait while the upgrade takes place. The amount of time it takes will vary. 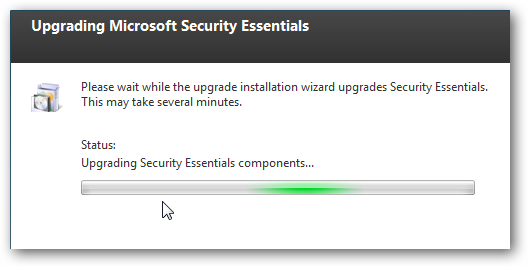 We installed the 32-bit version on a Windows 7 Home Premium Core2 Duo system and took around three minutes. To finish the upgrade a reboot is required. After getting back from the Restart you can begin setting it up. The user interface has a bit of a new look, but using it is essentially the same as the current version. If you don’t have the current version of MSE installed, there is no Restart required, it will offer to get the latest definition updates and scan your system right away. We did experience a bit of a problem getting the 64-bit version upgraded on our Windows 7 Ultimate machine. We ended up uninstalling the current version with Revo Uninstaller Pro and when the following error came up, we restarted the machine and it installed successfully and is working great. It still has the features you’re already used to such as scheduling scans and real-time protection, and offers new features as well. 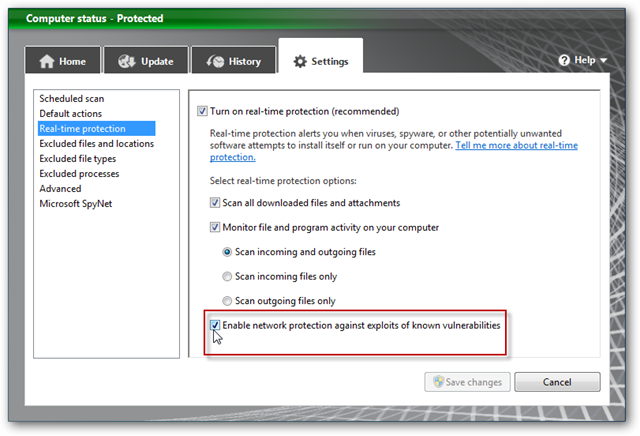 One of the new interesting features for Windows 7 & Vista (not available in XP or 2003) is you can enable network protection. This will inspect your network traffic and block any suspicious connections. A very nice feature for those with a home or small business network. Also it includes the Firewall integration that we looked at during the installation. 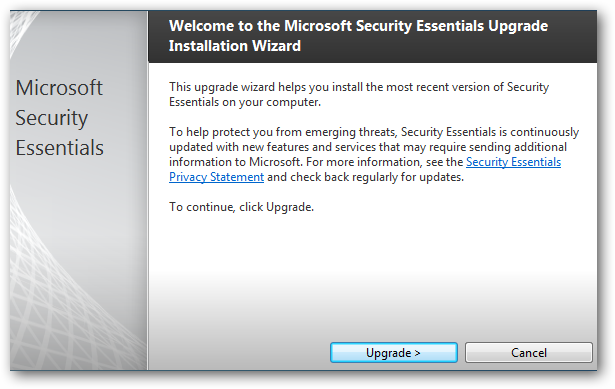 It integrates with Internet Explorer to protect against web-based threats such as malicious scripts. 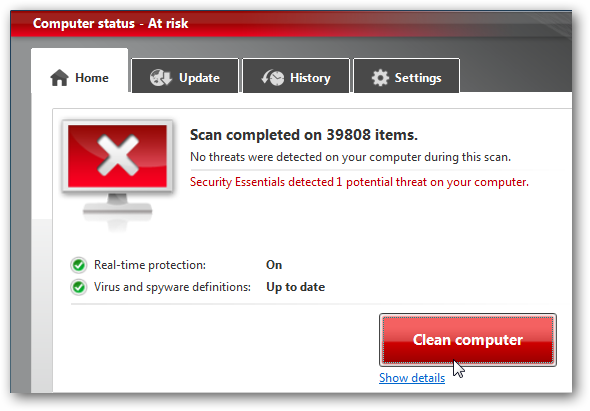 It also includes a new updated protection engine that offers better detection, easier cleanup, and better performance. We ran some fake test virus files and the detection was as good as the current version and cleanup was a breeze. 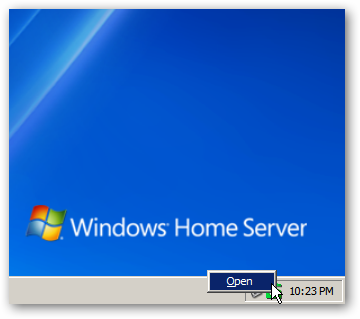 If you’re running Windows Home Server on your home or small office network, you’ll love the fact that the MSE Beta works on WHS version 1 and also on Vail! Just put the executable in a shared folder, then Remote Desktop into your server. Alternately, if you’re using the Advanced Admin Console for WHS you can access your server desktop through the Console. Then just install it as shown above. 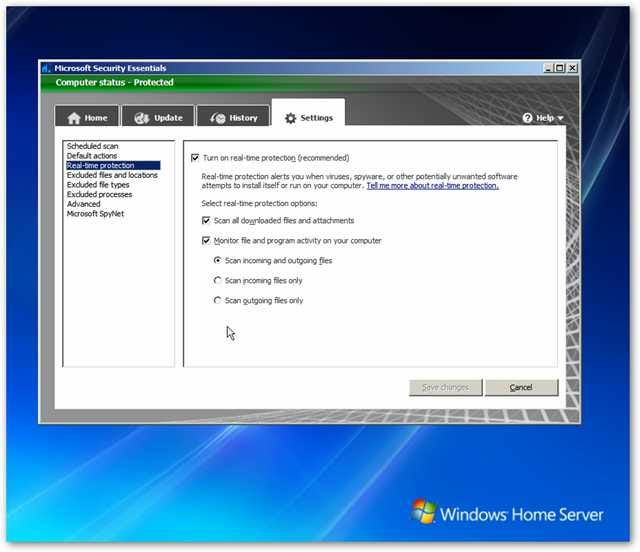 Windows Home Server version 1 runs on Server 2003 so the new Network Protection feature isn’t available. 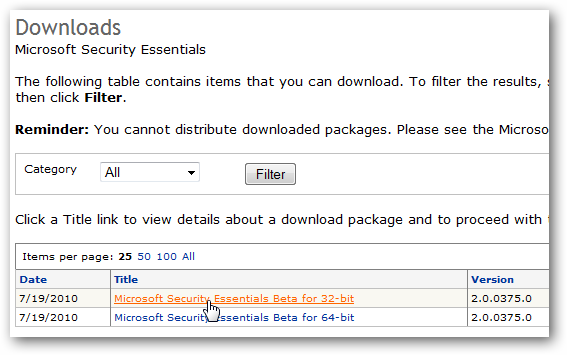 However, it should be available in WHS Vail beta as it’s built on Server 2008. It will run in the taskbar even after a reboot or if you’re not logged in so you won’t need to install it as a service. Remember that this is still in beta and you might experience some bugs…though we haven’t experienced any in our limited testing other than the x64-bit install. It will run on XP, Server 2003 and above, but the advanced network protection is not available in on those two operating systems. If you’re an early adopter you might want to get it while downloads are still available. 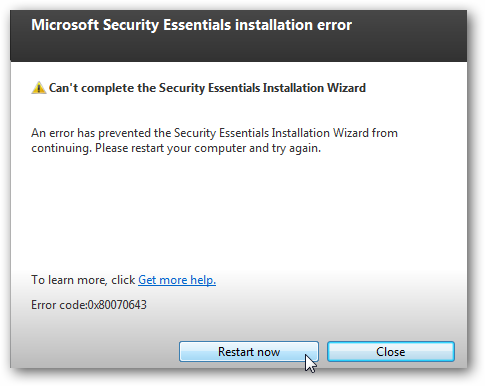 At the time of this writing the Windows Team blog reported problems downloading it from the MS Connect site. They are working on the issue and you can read more about it here. If you’re having problems downloading the individual file then use the Microsoft File Transfer Manager.